Score a FREE cup of frozen yogurt at Orange Leaf today. There are 58 freebies today. Let us know in the comments if you learn of any more freebies, deals, or discounts. Don’t forget to follow us on Twitter @BargainBabe to snag more freebies. 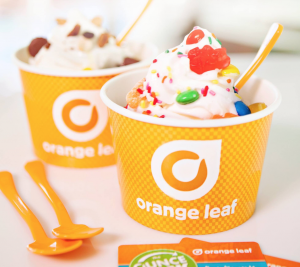 Free Frozen Yogurt – Visit your local Orange Leaf store today, April 26th only, and tell the employees what makes you an original, to a FREE cup of frozen yogurt. For more details go here. Note: Call your local store to make sure they are participating! Free Juice Beauty Brightening Skincare Samples – Fill out a quick for to grab FREE Samples of Juice Beauty Brightening Skincare! Note: Your sample will arrive in four to six weeks. Free Victoria’s Secret Travel Fragrance Mist – For a limited time, you can go HERE and click “I Want In” button to opt-in for a chance to score a coupon valid for a FREE Victoria’s Secret Bombshell Travel Fragrance Mist (reg. $15!). You will be able to redeem this coupon only in Victoria’s Secret stores and no purchase will be necessary! Note: Limited number of coupons available. You will receive a text or email when the promotion goes live, depending on your preference selected at opt-in. Free Mr. Clean Magic Eraser – Head to the Sam’s Club Freeosk Sample Booth to possibly score a FREE Mr. Clean Magic Eraser! Available while supplies last only. Free Field & Stream Magazine Subscription – Get a FREE 1-year Field & Stream Magazine Subscription today. 20% Off Grapefruit– Hurry and login to your SavingStar account to load this new 20% Off Grapefruit. Expires May 2. Free Sonic Drive-In Slush – For a limited time, Sonic Drive-In is offering a FREE Slush to new users that download the FREE Sonic Drive-In app on iOS or Android and set up an account. Sweet! Free Ortega Taco Seasoning Packet– Hurry and login to your SavingStar account to load this new offer for FREE Ortega Taco Seasoning Packet. Expires April 26. 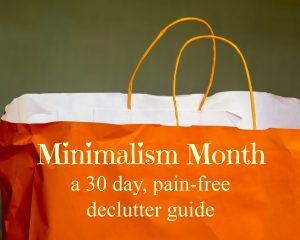 Free Mini Dream Journal – Request a FREE mini dream journal today. Sweet! Note: You must join the Pandoras Journal newsletter to snag this freebie. Free I Love Mom Craft – On Saturday, April 30, you can head over to Kmart where they will be giving away FREE I Love Mom Craft Bubbles to kids ages 12 and under at participating stores. Free Garnier Whole Blends Sample – Head on over here to request a free Garnier Whole Blends sample! Be sure to also click on “save $1” to print a $1/1 Garnier Whole Blends shampoo, conditioner or treatment product coupon. Free Monkey Loco Candies – Print a coupon to get a FREE bag of Monkey Loco Candies at Stripes stores. Note:Coupon is on Facebook and is valid April 26 only. Free Culture Hair Product Sample – Click here to sign up for a free three-part system hair product sample from Culture. Free Sanne Tea Sample – Take a short survey here to request a free Sanne Tea Sample. Free Bragg Seasonings Sample – Sign up here for a free Bragg Health Facts Info Package with sample packets of Bragg Sprinkle & Sea Kelp Delight seasonings and Bragg Premium Nutritional Yeast. Free Taste of Home Subscription – Sign up here for a free subscription to Taste of Home magazine. Free Disney Cruise Planning Tool – Fill out a brief form to request a free Disney Cruise planning tool. Choices include a DVD, DVD Online, or E-Book. Free Sample of Obliphica Professional Seaberry Hair Serum Sample – Sign up here to request a free sample of Obliphica Professional Seaberry Hair Serum. Free Organic Salad Dressing Coupon – Take a brief survey to score a printable coupon for a FREE Organic Girl Salad Love Fresh Dressing (up to $6.99 value! ), valid through May 8. Free Adult Inspirational Quotes Coloring Pages – Download a set of FREE printable inspirational quotes adult coloring pages. Free Dasani Sparkling Water – Giant Eagle Advantage cardholders can add an offer their card good for a FREE Dasani Sparkling Water. Offer is valid April 21 to April 27 while supplies last only. Free Spring Educational Bundle – For a limited time, you can snag this Educents Spring Educational Bundle for FREE(a $100 value!). This bundle includes 27 Spring Themed Resources for Pre-K through 8th grade students. Wow! Free Waterproofing Wax Sample – Take this quick 11 question Nikwax WebQuiz to get a FREE sample of Nikwax Waterproofing Wax for leather. Free Colgate Toothpaste Sample – Sign up for a FREE sample of Colgate Sensitive Pro-Relief Toothpaste. Free Pen – Fill out a quick form to snag a FREE pen sample today. Free Runner’s World Magazine Subscription – Get a FREE Subscription to Runner’s World Magazine! Free Poise Pad Starter Pack Sample – Request a FREE Poise Pad Starter Pack Sample today. Free Redbook Magazine Subscription – Get a FREE TWO-Year Redbook Magazine Subscription courtesy of Mercury Magazines! Free Allegra 24 Hour Sample – Get a FREE sample of Allegra 24 Hour courtesy of Target. Free Lay’s BBQ Chips – Sign up to get a coupon for a FREE sample of Lay’s BBQ Chips. Yum! Free Walmart Baby Box – Sign up here for the Walmart Baby Box program to get free samples of prenatal and baby products. Note: A flat $5 shipping fee applies. Free one month subscription to HBO NOW – Get one FREE month of HBO NOW, HBO’s new streaming service. Free Atkins Quick-Start Kit – Fill out a short form to get a FREE Atkins Quick-Start Diet Kit. Free Skincare Samples – Get FREE skincare samples from LICA COLE™. Choose from body exfoliants and body soufflés in a variety of fragrances and blends. Free L’Oreal Age Perfect Hydra-Nutrition Sample – Grab a FREE Sample of L’Oreal Age Perfect Hydra-Nutrition. Just head here and register or log into your L’Oreal account to get this freebie. Free Playtex Sports Pad or Liner Sample – Sign up to snag a FREE sample pack of Playtex Sport Pads or Liners. Free Butterfly Garden Kit – Score a FREE butterfly garden kit from the National Wildlife Federation. Just upload a photo of you, making the American Sign Language sign for butterfly, then fill out the quick form here to get this freebie. Free Marie Claire Magazine Subscription – Request a FREE one year subscription of Marie Claire magazine ($10 value) from ValueMags! Free Nivea Men Creme Sample – Sign up for a FREE sample of Nivea Men Creme. Free Pü̃rPod100 Coffee Pod Sample – Sign up to receive a FREE Pü̃rPod100 Coffee Pod sample, the world’s first 100% compostable single serve coffee pod.Note: You must sign up for the email newsletter to get this sample. Free Wildflower Seeds w/Purchase – For a limited time you can snag FREE wildflower seeds ($5 value!) with any Burt’s Bees Cause Lip Balm purchase. Note: Your bonus will shown in your cart after you add your lip balm. Free VitaGravy FX for Dogs – Snag a FREE sample of VitaGravy FX for dogs! Free Contact Lens Solution – Score a FREE Sample of PeroxiClear Advantage Contact Lens Solution! Note: You have to be currently using a different brand to qualify for this freebie. If you qualify, you can expect your sample to arrive within 4 weeks! Free Men’s Dove Body Wash And Axe Body Spray – Grab a FREE Sample of Dove Men+Care Sensitive Shield Body Wash AND Axe Dark Temptation Body Spray, courtesy of Walmart.com! Just watch the quick video, click “Get Sample” and fill out the short form. Free Full-Size Back to Nature Crackers or Cookies – Fill out the form to possibly score a FREE Full-Size Back To Nature Crackers or Cookies product! Note: Not everyone will be selected to receive this freebie. If you are selected, you’ll be notified via e-mail and will get your coupon in your mailbox within 10 weeks. Free Skin Cleanser Sample – Just design and send an ecard to a friend to get a FREE Sample of Noxzema Skin Cleanser! Free Dog Treat Sample – Get a FREE sample of Maddies Organic Morsels Dog Treats today. Free Green Mountain Coffee K-Cup Sample – Get a FREE Green Mountain K-Cup sample today. Just head here, click on the box that says “Try a sample”, and answer 3 quick questions. You’ll have your choose of four coffee flavors. Yum! Free Men’s Fragrance Sample – Grab a FREE sample of Profile 18 Amber Wood fragrance today! Free Puer Instant Facelift Sample – Get a FREE sample of Puer Instant Facelift. Just add to your cart and checkout. Shipping is also free. Free PetArmor Sample – To get a FREE 1 ct. PetArmor for Dogs or Cats Sample select yes and yes to qualify. Free Elephant Sticker – Request a FREE Elephant sticker today. Free Philosophy Oxygenating Gel Cream Sample – Fill out a short form to receive a free sample of philosophy’s Oxygenating Gel Cream. Free Twinings of London Tea Bag Samples – Pop over to Twinings to request 3 free tea samples. Just select the flavors you’d like to try and your samples will arrive in 4-6 weeks. Hurry, this is only while supplies last! Free Fancy Feast Sample – Get a FREE sample of Fancy Feast Medleys White Meat Chicken Primavera Pate!